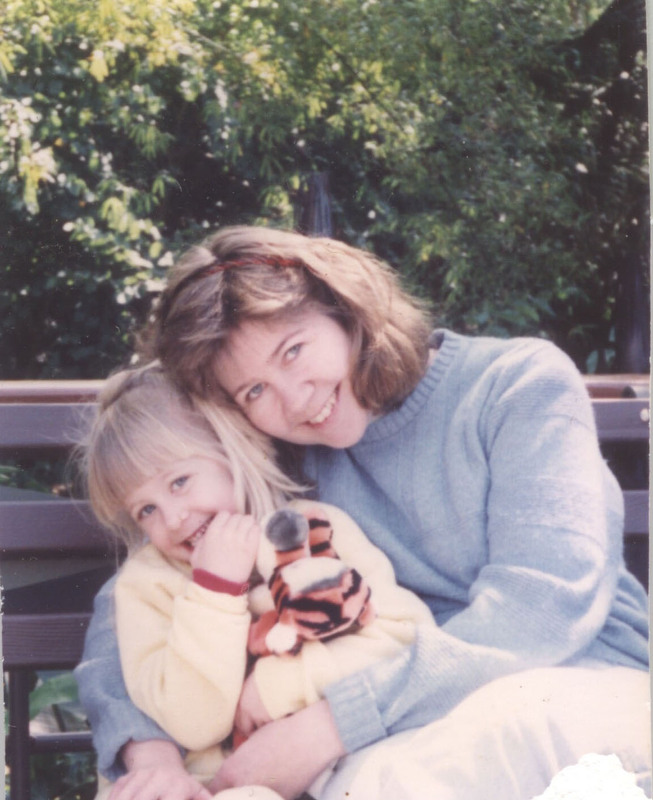 Me and mom in Disney World in 1988. On Oct. 2, I’ll be running in the Florida Suncoast Komen Race for the Cure. It’s a race that’s near and dear to my heart, as my mother and my maternal aunt both died of breast cancer at a young age. My mom was only 39 when she passed away, and my aunt was in her early 50s. Given this family history, I can’t help but worry that someday I might get breast cancer. There’s not a whole lot I can do to prevent it, though, except do my best to live a healthy lifestyle and try to raise money for cancer research. I’ve been passionate about this cause for several years. In college, I helped start my college’s Relay for Life efforts and was always moved by all of the people who came out to show their support for cancer research. It made me realize how many people have been affected by cancer, directly and indirectly. Though I hate asking people for money, I’ve been asking people to donate what they can, even if it’s just a few dollars. I first let people know about the race earlier this month on Facebook and Twitter and got donations from friends and from acquaintances who I haven’t talked to in years. In just a few days, I raised more than $500, so I upped my fundraising goal from $100 to $1,000. Now I’m starting to reach out to more people in hopes that they’ll help me reach my goal. The money for the race goes toward breast cancer research and local nonprofit organizations that offer screenings, breast health education, and treatment projects for those who are medically underserved. If you’re interested in donating, you can visit this page for more information. I’d greatly appreciate any contribution you can make! With every stride I run and every dollar you donate, we’ll be making steps together toward finding a cure.